Curtains are designed for use with Jonti-Craft Imagination Stations. 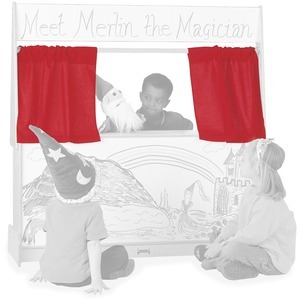 These curtains turn your Imagination Station into a stage, store, drive-up window and more. Looped end easily fits onto the curtain rod for quick installation.